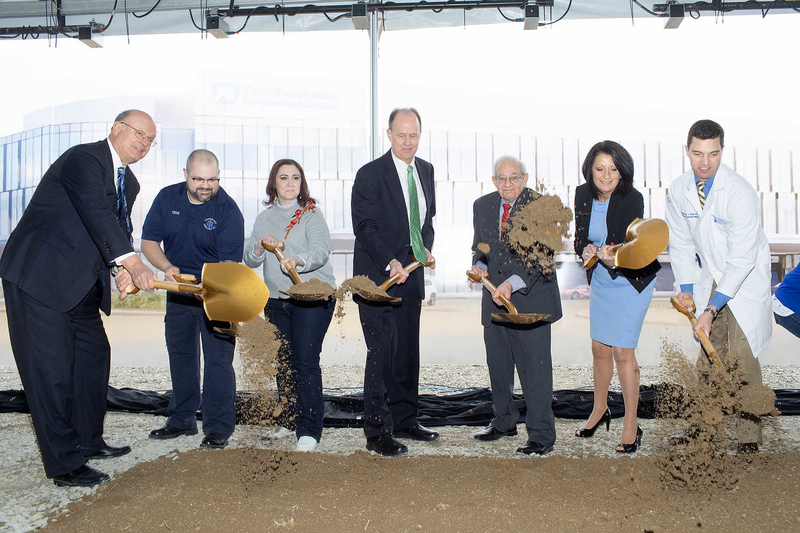 The groundbreaking ceremony, which included speakers from Penn State Health, Highmark Health and the Hampden Township commissioners, also featured a special guest: VFW District 18 Commander, David “Spike” Gyger. In recognition of Vietnam Veterans Day, Gyger presented Penn State Health with a flag to fly over the project site during construction. After community members and Penn State Health leadership turned over the first shovels, guests got a virtual sneak peek at the planned interior of Hampden Medical Center with a 360-degree animated fly-through of the building. Hampden Medical Center, located in the Wentworth Corporate Center at the intersection of Good Hope and Wertzville roads, will give residents of Cumberland and Perry counties, as well as the broader Harrisburg area, enhanced access to the primary and specialty care services of Penn State Health without having to make the drive to Hershey. The new $200 million facility will feature 108 inpatient beds, an emergency department, physician offices, various specialty inpatient services, image and lab services and complete medical and surgical capabilities. It will feature an open medical staff, with a plan to develop collaborative programs between Penn State Health physicians and private community providers. Hampden Medical Center will include an attached outpatient medical office building. The project will bring hundreds of well-paying jobs to the area, both during construction and for hospital operations. The construction process is expected to bring about 600 jobs; and once operational, the hospital will initially employ 650, with a planned increase over the first three years to about 1,000 employees. Hampden Medical Center is expected to open in summer 2021. Cannon Design and Barton Malow Alexander are partnering with Penn State Health on this project. 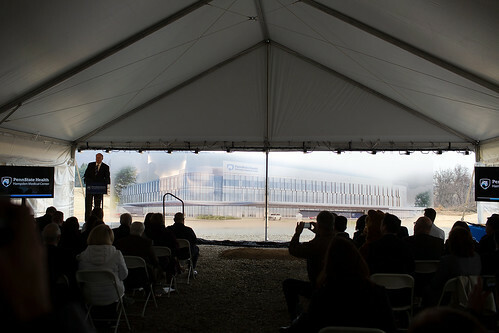 Future Penn State Health Hampden Medical Center from Penn State Health on Vimeo.